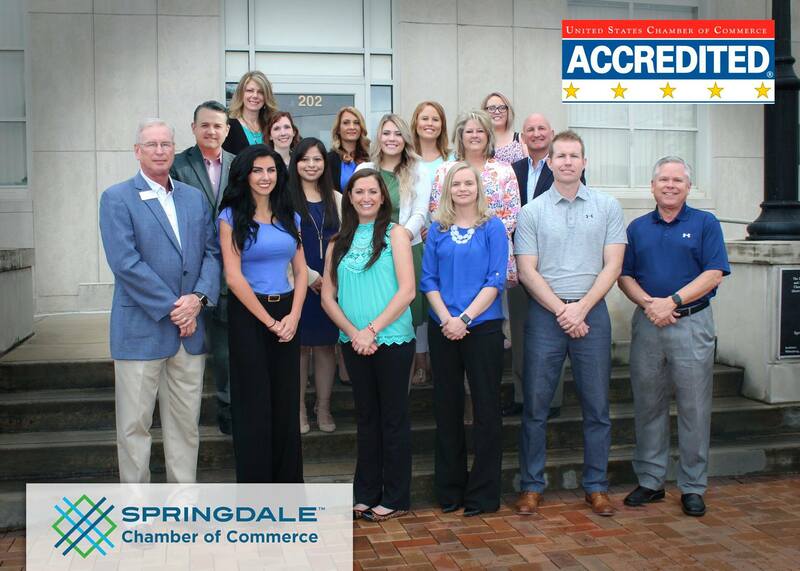 The U.S. Chamber of Commerce has awarded the Springdale Chamber of Commerce a 5-Star Accreditation. The highest rating bestowed on chambers, only 1% of the nation’s chambers earn this honor. In order to receive Accreditation, a chamber must meet required standards in nine core competencies including operations and programs, areas of governance and finance, government affairs, and technology. The Springdale Chamber of Commerce is a membership organization whose purpose is to advance those issues of specific interest to our members. When possible, the Chamber will also work to develop, encourage, promote and protect the commercial, civic, industrial, agricultural and general business interests and the general welfare of the City of Springdale and the Greater Springdale Area. The vision of the Springdale Chamber of Commerce is that we will serve our members in ways that prioritize our community’s quality of life and their ability to contribute to economic growth and prosperity for our city. The Springdale Chamber of Commerce’s value statement is to provide the leadership necessary to allow our members to be more profitable and to have a better life here.